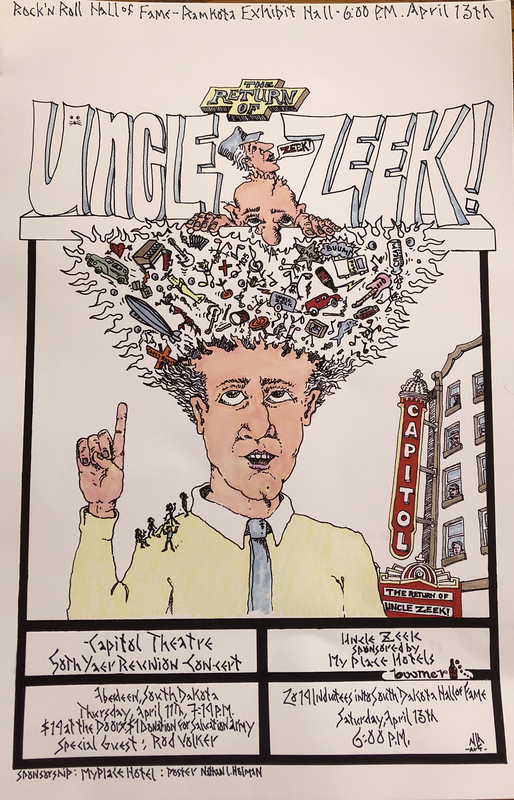 Uncle Zeek started as a band called The Dark Side in 1967 and consisted of Ben Williams (keyboards), Jim Ziegler (drums), Jim Strudel (guitar), Tim Andersen (lead guitar), Doug Grote (bass), and Ron Ziegler (lead vocals). Uncle Zeek played mainly for school dances in the Aberdeen area. In 1969, Strudel and Jim Ziegler left the band, Jerry Buum joined on drums, and Glen Ryman played occasionally on flute. 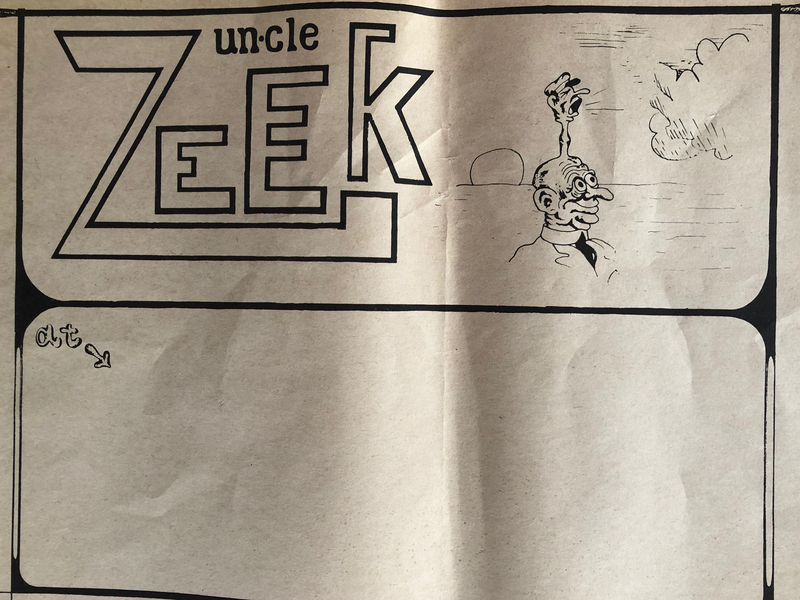 Also, the band name was changed to Uncle Zeek. The band broadened its repertoire, playing covers of music by Cream, The Doors, Jimi Hendrix, and many others. They traveled to schools, night clubs, and auditoriums through South Dakota, North Dakota, western Minnesota and Iowa. Dance halls included Waubay's Blue Dog Inn, Britton's Rainbow Ballroom, Lane's Rainbow Ballroom, and Tyndall's Groveland Park. Uncle Zeek also had a recurring engagement at the now long-defunct Michael's Bar in Aberdeen. A highlight was the band’s unexpected stint as the opening act for Neil Diamond at the Aberdeen Civic Arena on March 2, 1970. When bad weather kept Diamond's equipment from landing at the Aberdeen airport, his tour manger contacted Engel Music and, through airport management, Uncle Zeek, seeking equipment, which the band delivered. Since Diamond's lead-off band also could not land, Diamond asked Uncle Zeek to perform. They played two songs: The Doors’ “When the Music's Over” and MC5's “Kick Out the Jams.” Diamond thanked the band from the stage and gave them tickets and $250. When Ron Ziegler left the band in early 1971, Buum moved to the singer position and Joe Farroh was added as percussionist. The band moved to Omaha later that year and added more original music to its playlist. 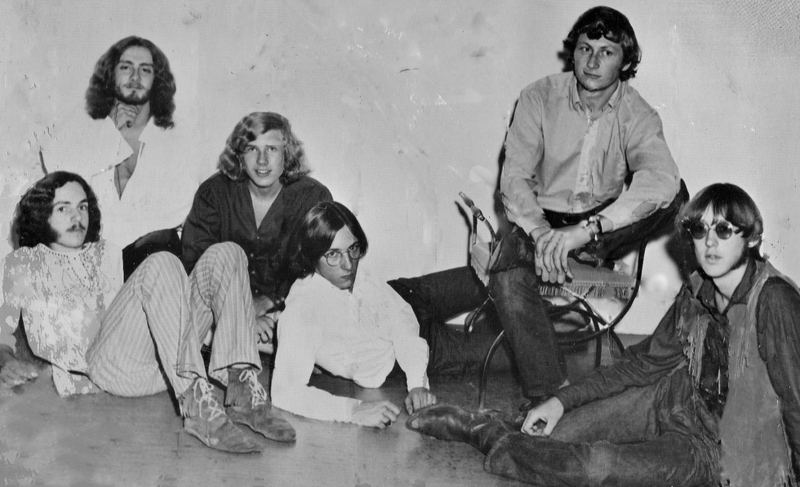 Due to losing players to the draft, Uncle Zeek disbanded in October 1972.